Burke and Patton combine to deliver quality every time. Burke's rhythmic writing full of descriptive adjectives and colorful Bayou characters becomes a playground for Patton's fabulous reading and voice inflection. 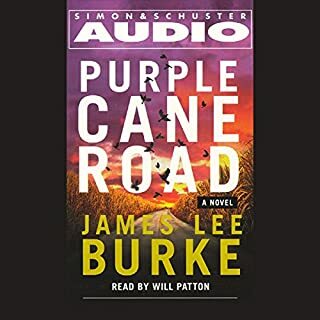 Patton's interpretation melds with Burke's stylistic flair to be unmatched in audible entertainment, especially good for long drives. All the Robicheaux novels are rich in a similar but varied flavor. They are centered around the New Orleans police department and street life. If you like one sample, you will love the series. Burke is a great author in that he hits hard with information that peaks your interest right away but his humor and humanity are ever present in his story. He is flawless at driving a plot and always keeping you guessing or smiling or both. Will Patton is the spot on reader for Burke's novels. I pity the fool who would try to follow Will in doing a novel in the Robicheaux series. This book was particularly well suited to the strengths of Burke and Patton. A reat tour de force in the audible world. If you want to start somewhere with this series this is a good place. What made the experience of listening to Armageddon in Retrospect the most enjoyable? 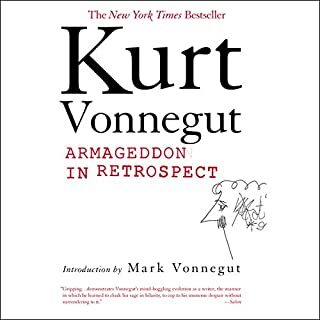 Rip Torn's reading and Vonnegut's words created a fantastic antiwar yet entertaining treatise...as only Vonnegut could pull off. What other book might you compare Armageddon in Retrospect to and why? This book contains the foundational thought that went into writing Slaughterhouse Five. The two short novella's in the book seemed to be Vonnegut working though his ideas on the subject of man's inhumanity to man. Which character – as performed by Rip Torn – was your favorite? The corporal in the Army of the World. The subject matter is such that three or four listenings would be a better approach. This book contains letters, short stories and other words of wisdom from Vonnegut on the subject of his war experience and his thoughts on war. This book is an act of heroism and should be read by anyone who claims they are, or wants to be a writer. 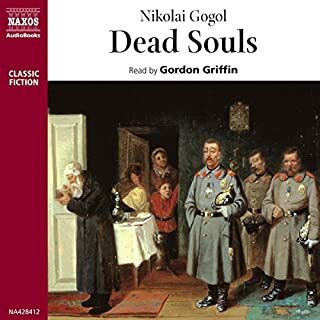 Would you listen to Dead Souls again? Why? This book is a classic study in the dark comedic aspects of human behavior. The story is about a scam and the responses of the characters when presented with the scam. Everybody wants their piece of the pie. The understanding of human nature. Several. The characters that refused to participate were moving. A good book to listen to.